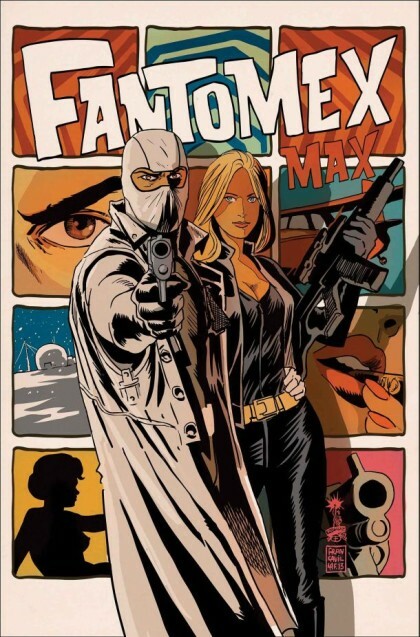 Fan-favorite character Fantomex is getting his own is getting his very own limited series featuring covers by fan-favorite artist Francesco Francavilla. I used up all the F’s! This 4 issue series is written by newbie Andrew Hope and illustrated by longtime Deadpool artist Shawn Crystal. It’s a Max title so that means it’s rough and tough and all that stuff, not for kids! By the way, check out Crystal’s interview podcast Inkpulp Audio. He takes a personal approach to the interviews and focuses less on craft and comic book characters. He’s had some great guests so far including Skottie Young, Rick Remender and today a new interview with Kelly Sue DeConnick just posted!